Ever wanted to go to a Coldplay concert? If you own a Gear VR headset, you’ve got a free ticket for the VR livestream of the band’s ‘A Head Full of Dreams’ performance next week. Samsung and Live Nation are teaming up to bring Coldplay’s performance on August 17th from Chicago’s Soldier Field straight to your headset, starting at 8:30 pm CT (your timezone here). The concert will be streamed in VR live on Gear VR through the Samsung VR app, and will also be available for replay for a limited time following the event. According to Billboard Boxscore, Coldplay’s ‘A Head Full Of Dreams’ tour is the fifth highest grossing of all time, with more than 5 million tickets sold. A Head Full Of Dreams is the band’s seventh album. Gear VR users have reason to be excited, but, as with many 360 video releases, those with high-end headsets like Vive, Rift, and PSVR, are strangely lef1t out of the loop. 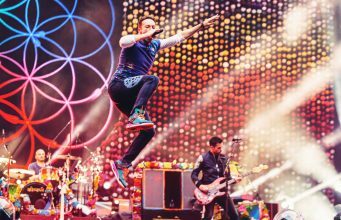 The post Coldplay to Livestream ‘Head Full of Dreams’ Concert on Gear VR for Free Next Week appeared first on Road to VR.